Gary Barber's Kentucky Derby (G1) hopeful War of Will breezed 5 furlongs from the starting gate in :59 over a fast track Saturday morning at Keeneland in Lexington, Ky. His time was the best of 44 works at the distance. Trained by Mark Casse, the War Front colt has 60 qualifying points and a guaranteed place in the $3-million Kentucky Derby on May 4. At Fair Grounds earlier this year, War of Will won the Risen Star (G2) and the Lecomte (G3). 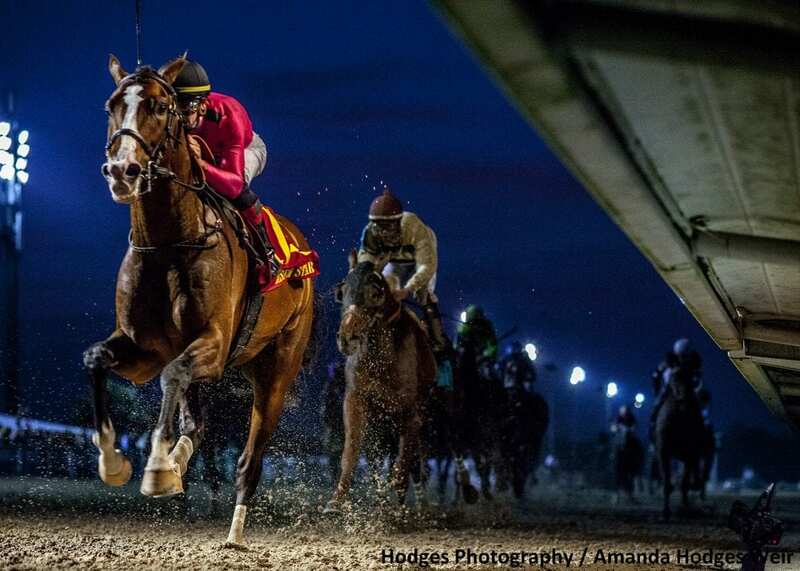 On March 23, he was ninth in the Louisiana Derby (G2) after losing his footing at the start. The colt arrived at Keeneland four days later. Carroll said War of Will likely will have another work next week at Keeneland and a final tune-up at Churchill Downs in the days leading to the Kentucky Derby. This entry was posted in Triple Crown and tagged David Carroll, gary barber, Keeneland, kentucky derby, Mark Casse, Tyler Gaffalione, war of will by Press Release. Bookmark the permalink.